Whats are the different ways to place or attach my parasol? The choice for your parasol is already made, but do you already know how you want to attach it? 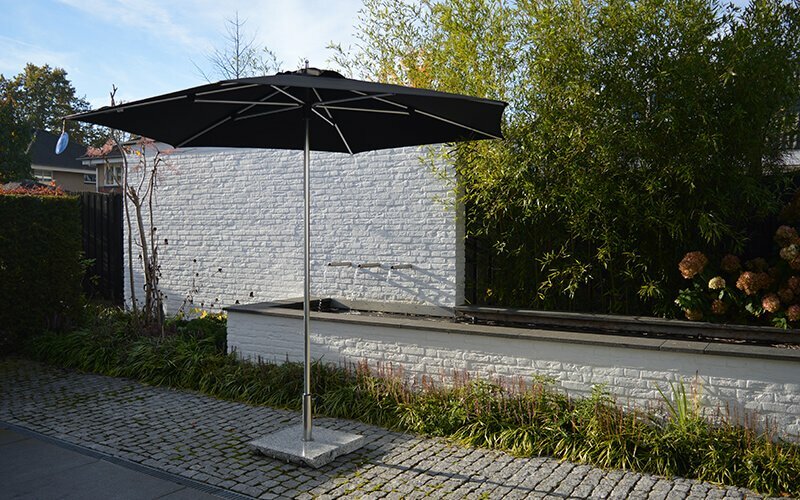 There are a variety of options, like a standard parasol base, a fillable parasol base, a movable parasol base – a base on wheels -, a wall attachment, a concrete parasol base ,or a ground anchor for your parasol. 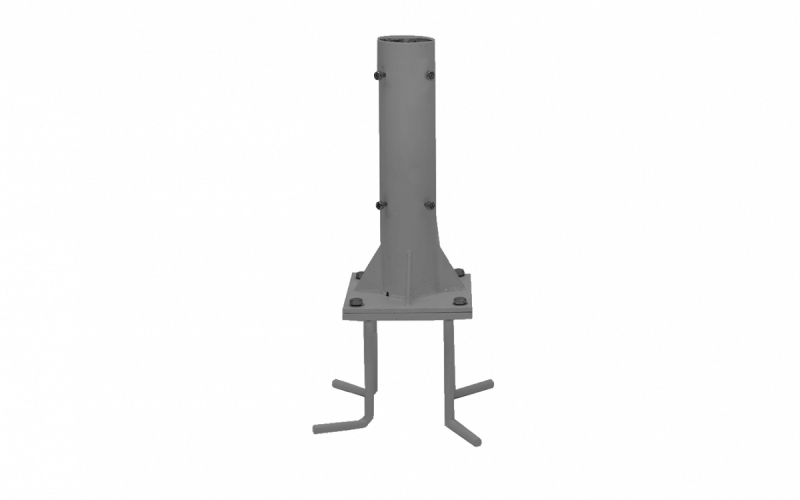 A standard parasol base is a base which you can easily open to fill with water, sand, cement or stones. Anything that adds weight is sufficient to make this base ready to be used. 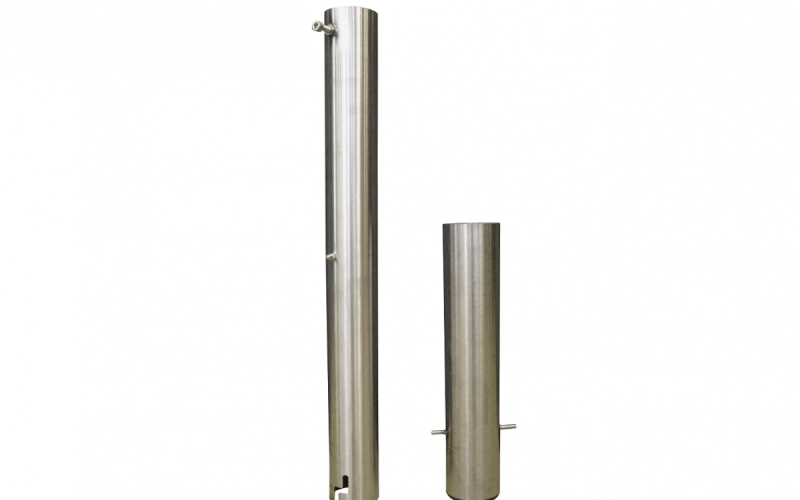 The top tube of the base is adjustable, this means that within a certain margin, various mast diameters fit. By twisting the ring at the top of the tube tighter or looser, you can secure your parasol so that it is ready to use. A base like this reaches a maximum weight of 40kg and hence might not be suitable for every parasol. 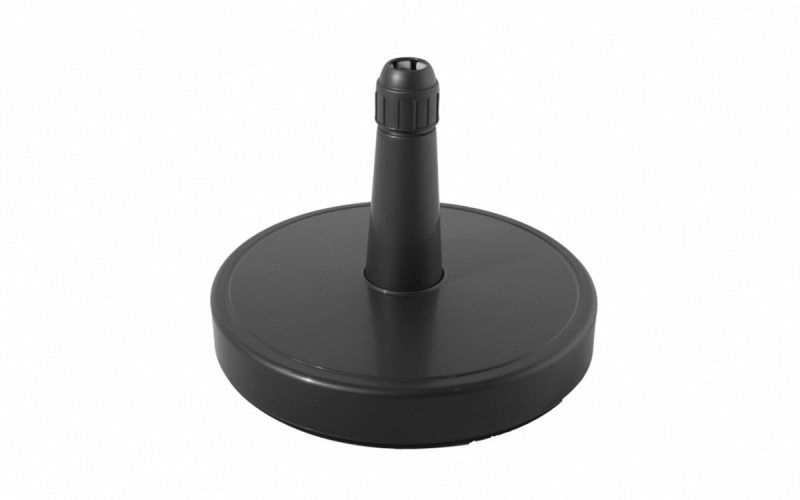 A parasol base on wheels, or a movable parasol base is a base with double swivel casters attached to it. There are also granite parasol bases where the wheels are sunken into the base, and when you tilt the parasol it can still be moved. 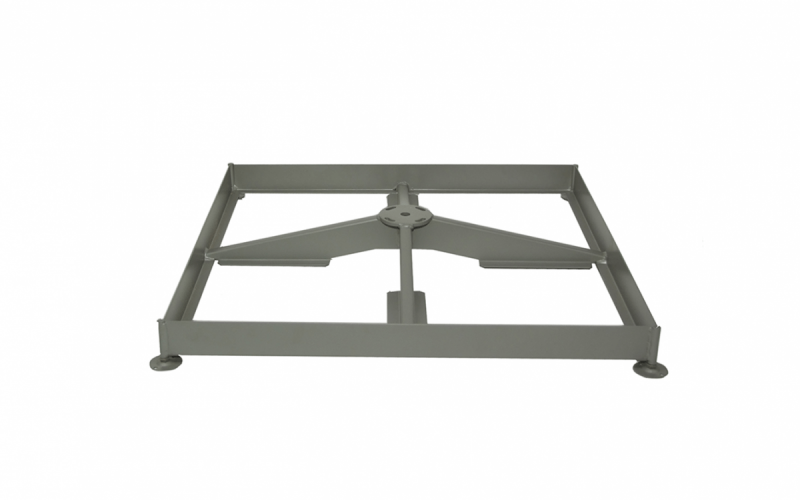 Both work perfectly, but the casters allow the parasol to be moved more easily. The parasol will stay in its place when the brakes are used, and will not blow to the other side of your yard. For a more natural effect, there are concrete or granite parasol bases. A concrete parasol is very heavy and not convenient to move very often; it is possible but not ideal. 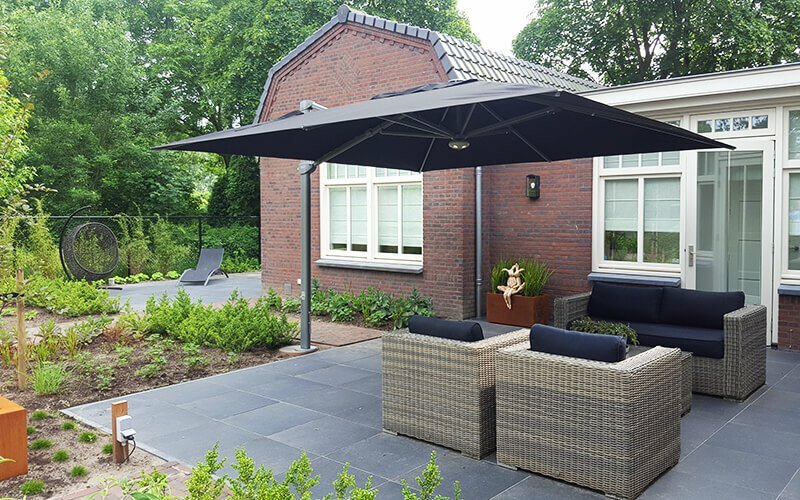 Still many parasols stand in a fixed place, and don’t need to be moved; in that case a concrete or granite parasol base is the answer. 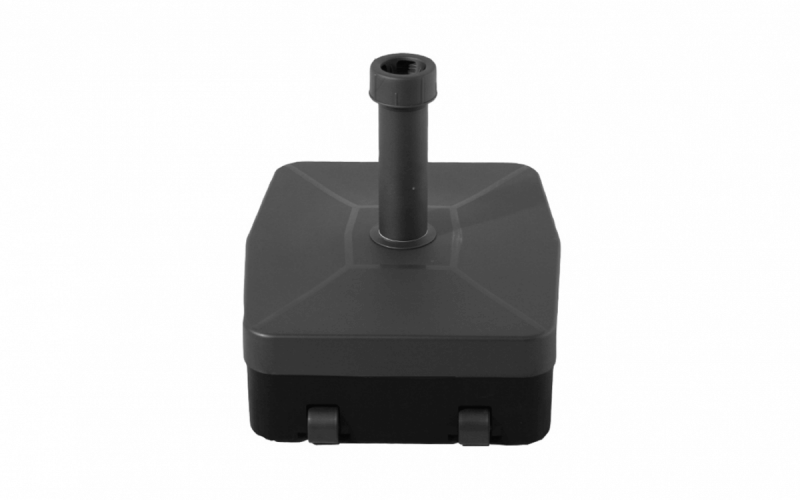 The effect of such a base is that it is less noticeable, because it fits better within the garden. A big advantage of these bases is that they are available in heavy weights, 55kg for the smaller parasols and 90kg for the bigger variety. This provides enough counterweight, even for the heavier garden parasols. The most aesthetic and labor intensive way to place a parasol in the ground is through the use of ground anchor. By digging a hole into the ground, filling this with cement, and putting in the ground anchor before the cement you create a concrete block under the ground. This won’t stand in the way and doesn’t contaminate the view. In the most cases when the parasol is removed nothing is visible, because the anchor has been evened out with the ground. 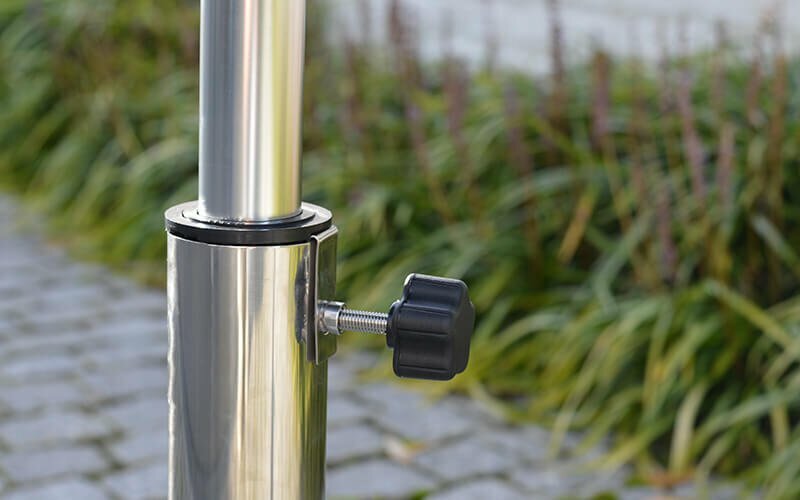 On top of this you will not have to haul a heavy base, but the disadvantage is that you are bound to a fixed place for your parasol, you can always choose to place two ground anchors, so you can choose where you want to open your parasol. However, this is only recommended for smaller parasols, a parasol of 500*500 cm isn’t as easily moved. Besides solution on the ground and in the ground, some models have the options to have the parasol mounted to the wall. 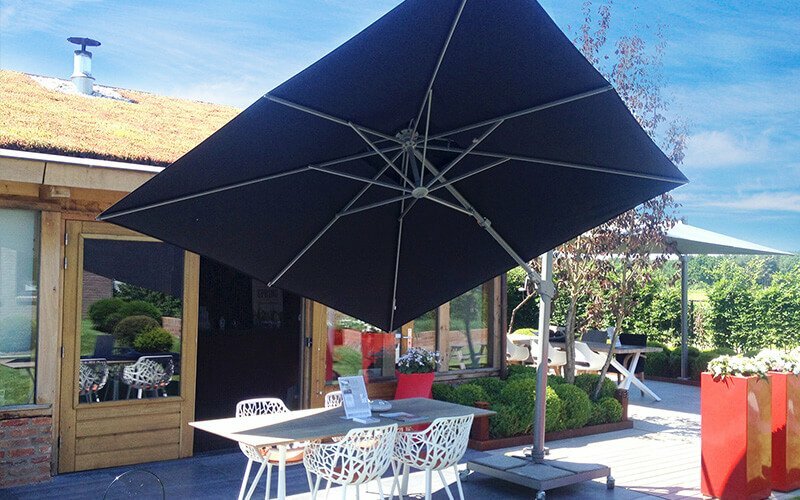 These wall parasols offer the ultimate solution when there is little space or a base simply takes up too much space. This way you also won’t bump into it anymore. 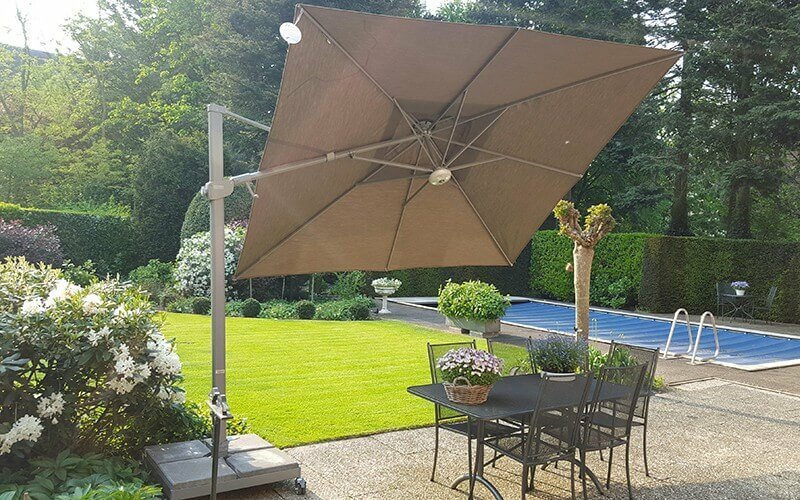 The only requirements for this solution is a wall that is strong and high enough to support the construction, where the parasol will hang, that needs to be mounted onto the wall.